(ALPHARETTA, GA — June 19, 2016) The artwork of illustrator and hand letterer Nate Williams is the subject of the second print in the Lustig Elements series for The Beauty of Letterpress by Neenah. 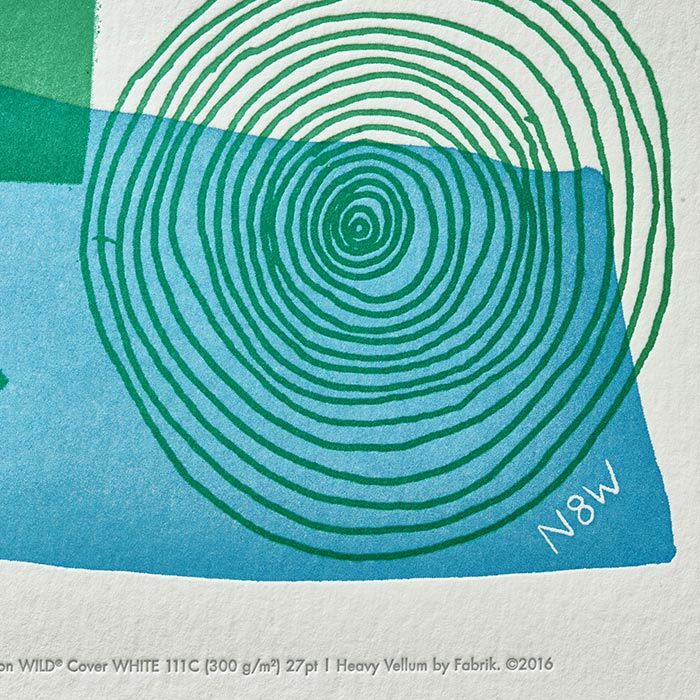 Titled Nature is the Answer, the whimsical 11 x 14, letterpressed print pays homage to nature, William’s belief in the importance of staying connected to the simple things, and the Lustig Elements font. Neenah commissioned the Lustig Elements series in honor of notable design pioneers Alvin Lustig and Elaine Lustig Cohen, and the Lustig Elements font, which was recently revived and completed by Craig Welsh. The first print for the series, titled Lustig Elements Collection, was released earlier this year. All proceeds from the sales of the prints go directly to The Hamilton Wood Type & Printing Museum. Williams is an award-winning illustrator, designer, and artist whose playful and optimistic work has captured the eye of clients like UrbanOutfitters, Peet’s Coffee, Target, Cartoon Network and more. His style of combining layered shapes, decorative elements and hand drawn lettering is a perfect setting for weaving in the Lustig Elements font. The horizontal number eight on the right side of the print is from the Lustig Elements font, and is a play on the Williams’ name and online handles, @n8w and n8w.com. Nature is the Answer was printed by Fabrik, and is available on four different papers: 1) CANALETTO Grana Grossa Cover BIANCO, 2) EAMES™ Cover EAMES WHITE, 3) ESSE® Cover PEARLIZED WHITE, 4) WILD® Cover WHITE. “The paper is the canvas for the art, when you look close you see the subtle qualities of the different textures and finishes, and how each enhances the design in a different way,” says Williams. 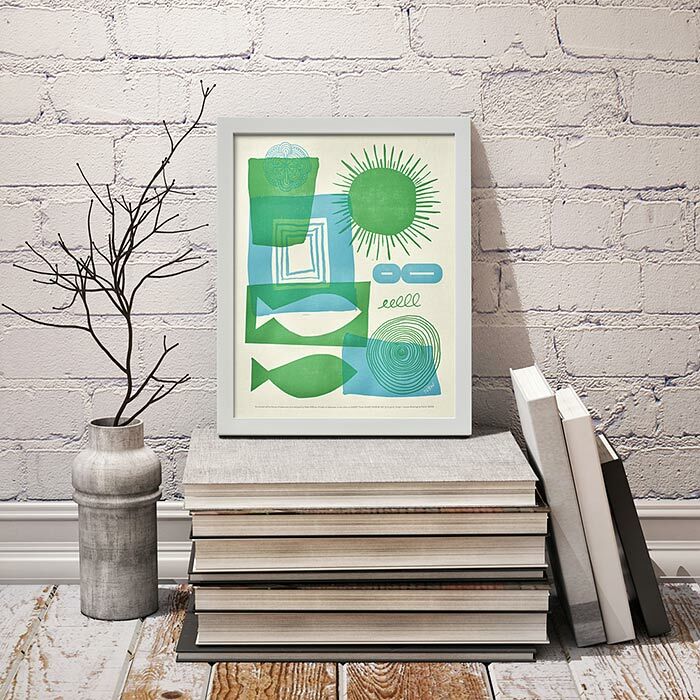 These bold, playful, summery prints are sized to fit in a standard 11 x 14 frame. They are available for $25 each and 100% of the proceeds goes to support the efforts of the Hamilton Wood Type & Printing Museum to preserve historic wood type and the art of letterpress printing.